Home Breaking News Biogas: A safe, sustainable and economical solution to decarbonise fleets? Biogas: A safe, sustainable and economical solution to decarbonise fleets? Over recent months, the escalating national debate and publication of alarming scientific research has shown that the air quality of many of our cities is now at dangerous levels. An increasing number of public sector organisations and private companies are decarbonising their operations to tackle this challenge, and as a result, biogas is looking set to play a major role in the transport sector over the next few decades. 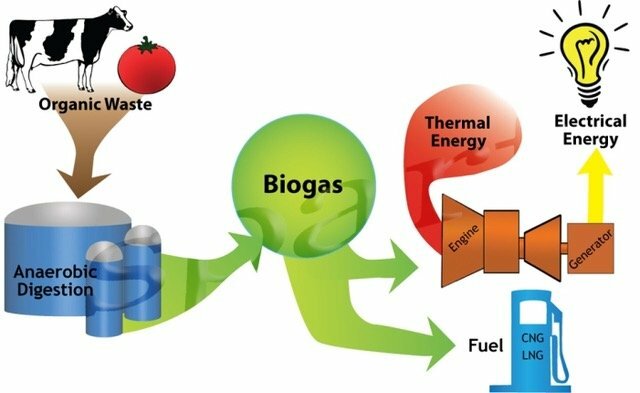 But what is biogas and how sustainable is it? And, why are so many fleet operators opting for this fuel type today? Roadgas, a leading supplier of natural gas and biomethane refuelling station infrastructure in the UK & Ireland sheds some light on the subject. Produced by a process called anaerobic digestion, biogas – a mixture of both methane and carbon dioxide – is harnessed by the anaerobic fermentation of organic materials from various forms of waste, including domestic and industrial food waste, slurry and crop feed. This waste can be repurposed into a renewable fuel suitable for transport, heating and electricity generation. Unlike other fuels such as diesel that produce materials which include sulphur dioxide and particulate matter upon combustion, biogas only produces carbon dioxide, water and energy. This makes it a simpler and cleaner alternative for the transport sector whilst at the same time delivering a reduced carbon footprint. It’s been found that fleet operators who switch to biogas find a reduction in CO2 output of around85-95%, and recent detailed testing of diesel versus biofuels conducted by IVECO has shown that NOx emissions can be cut by around half. In addition, particulate mass emissions can be nearly eradicated. However, the benefits of biogas use extend far beyond the environmental win-wins. Aside from assisting transport operators to decarbonise in the face of increasingly unpredictable global temperatures, biogas also appears to be the smart solution to the problem of mounting waste. Every year in the UK alone, over 90 million tonnes of food waste (along with farm waste and sewage) finds its way to the landfill, and biogas is one of the valuable outcomes of tackling this ever-increasing problem. Not only can biogas play a significant role in the shift towards sustainability and decarbonisation but it also makes a significant contribution to the move in reducing noise pollution. Quieter fleet operations – particularly for heavy goods vehicles (HGVs) in urban and suburban areas that make deliveries at night – are essential for efficient logistics operations. Fuel savings are notable too. With costs that are typically a 1/3 less – and in some instances, as much as a 1/4 less – operators can see that biogas makes commercial sense. However, whilst a safe, clean and economical solution that is rapidly gaining notoriety in the road transport industry, questions have been raised regarding the sustainability and availability of its ongoing supply. David Rix, Managing Director at Roadgas feels these fears are unsubstantiated. “Biogas comes from 100% renewable and sustainable sources, and whether CNG or LNG, concerns regarding availability should be quashed. At present, there is a highly organised biogas supply market with a structured supply chain. What’s more, with the growing demand for this type of fuel, the major gas suppliers are unlikely to disregard the growing needs of their customers.